Wish you could have seen one more presentation at a recent SIGGRAPH or SIGGRAPH Asia Conference? ACM SIGGRAPH provides a variety of opportunities from SIGGRAPH Encore to the SIGGRAPH Video Review. 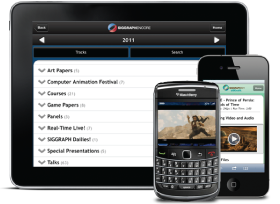 We also provide current and past Conference Audio Guides from the SIGGRAPH Art Gallery and Emerging Technologies venues. Many of the conference talks are recorded and distributed through the ACM Digital Library. Presentations include recorded video of the presenters and their slides and videos. Presentation content is available from the works’ article page in the Digital Library. 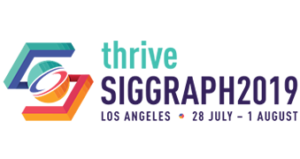 SIGGRAPH audio guides offer in-depth reviews of the installations in Emerging Technologies, Art Gallery and VR Village. Special thanks to the International Resources Committee for taking the time to translate and produce these audio guides in support of our membership around the world.